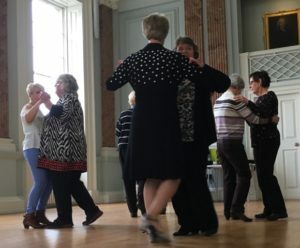 Do you like the idea of some personal coaching in ballroom dancing in an elegant Regency ballroom, with tea and cake in an informal atmosphere? Then come along to this month’s Tea and Dance Lessons at the Jury Street Court House, from 2pm to 4pm on Tuesday July 10th. No previous experience is required and you don’t have to bring a partner – just link up with someone else. It’s good for your posture, suppleness and balance. The dancing will not be too strenuous, and you can do as much or as little as you like. It costs just £2.50 per person to cover the cost of refreshments, and there is plenty of time to chat and make new friends. 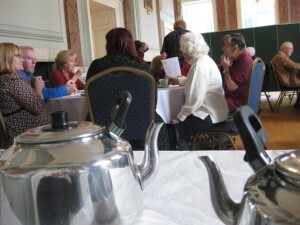 The monthly Tea and Dance Lessons are organised by Warwick Town Council with help from Unlocking Warwick volunteers.